Our Manila weather currently can't make up its mind: One minute it feels like summer, the next it's cold AF. The drastic weather changes can affect our skin, leading to irritation, redness, and dryness. And if you exhibit one or all of those three, it might be time for a ~*special treatment*~, aka a facial. Belo Medical Group's Cryoslush facial is great for calming down redness and inflammation, so we asked our Assistant Celebrity Editor, Jacinda Lopez to try it to see if it will soothe her dry, sensitive skin! Before proceeding with the facial, Dr. Nikki Liezl Dabbay-San Luis, M.D. diagnosed me with mild rosacea (Great, another skin condition! ), which makes sense as to why I always get red splotches on my face. 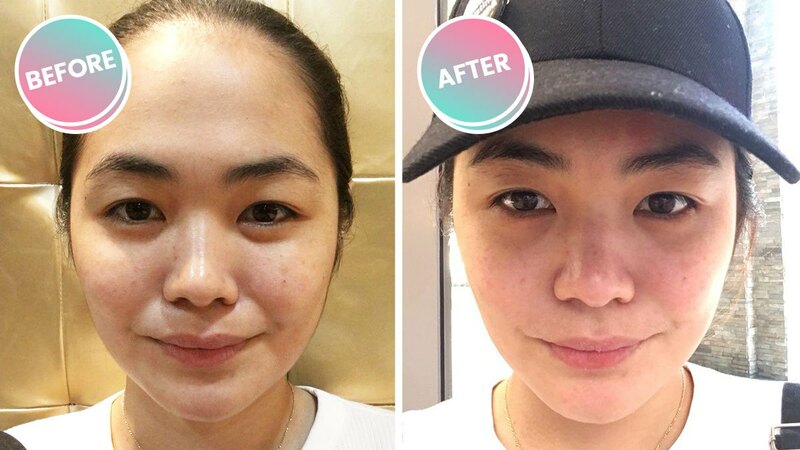 After the consultation, the aesthetician proceeded with the treatment by giving my skin a regular cleaning first—she exfoliated my face and extracted the whiteheads. It wasn't long before my skin started flaking and feeling dry and sore. So when it was time for the Cryoslush, I was really nervous, especially since dry ice was going to be used. But my anxiety immediately vanished because it felt so relaxing and soothing! My skin became red (What's new?) after, but with a light layer of moisturizing sunblock, it subsided after an hour. After a few days, I noticed that my skin looked brighter and ~more alive~ with no major acne breakouts. It looked so clean and even-toned! I love it and will go back when I feel like my complexion needs to be pampered again.